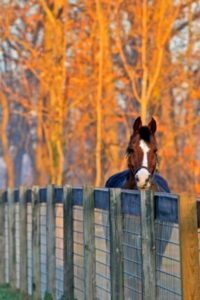 At Wellspring Farm we are dedicated to the individual needs for all who ride. Our riding program stresses the basics which provides a good foundation for a safe and enjoyable riding experience. Horsemanship is a variety of experiences from taking a pleasure ride to the disciplined training of horse and rider required for equestrian competition. Each rider at Wellspring Farm determines his or her own direction and level of participation. Here at Wellspring we have a wide age group of riders ranging from young children to adults into their seventies. Many of our riders have formed lifetime friendships here with both two legged and four legged friends.